When I first started working at home, I lived in a small Manhattan apartment where my bedroom and my office were one in the same. I was able to make it my own and decorate how I wanted, but once work hours finished, I no longer wanted to spend further time in that space. The apartment I live in now has an extra room that serves primarily as my office, while occasionally functioning as a guest room or a place for temporary storage. In this way, it’s easier to leave the work day behind in one room, while living, eating, and sleeping in the rest of the home. 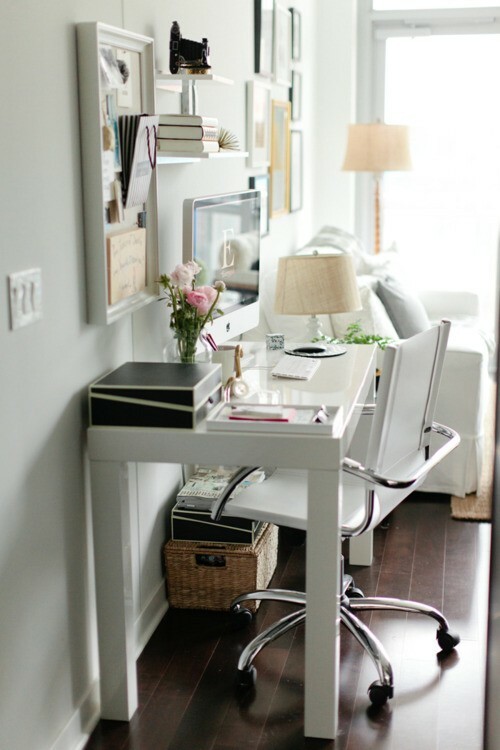 My favorite offices I've seen thus far have been those that are mostly white and minimalist with little pops of color. I'd like to have some type of collage or inspiration board to get the brain juices flowing. The hanging Christmas lights slightly remind me of dorm life, but they create a nice ambiance. 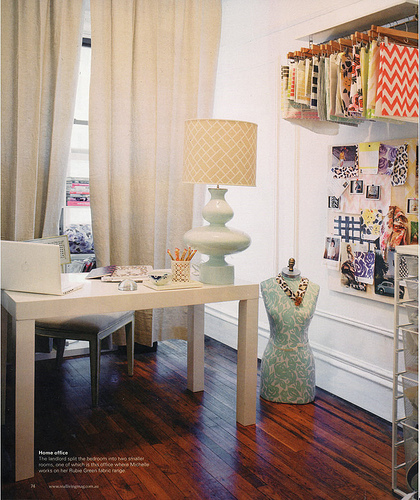 Organizational tools are obviously important to create a clean and streamlined look. Shelves, cubbies and clothing racks all serve as great decorative storage pieces. I really like the dark colors on the walls in the above pictures (though I definitely don't plan on painting) in contrast to the white molding on the windows and door frame. 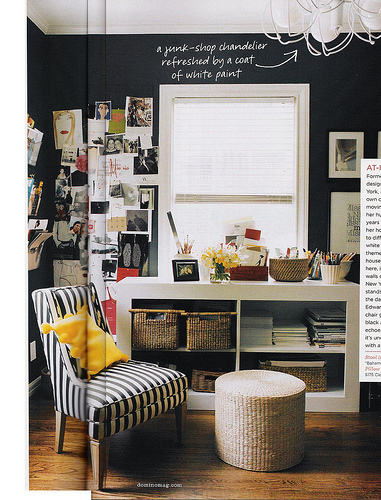 I also really like how the small bits of color act as an accent and are somewhat coordinated. 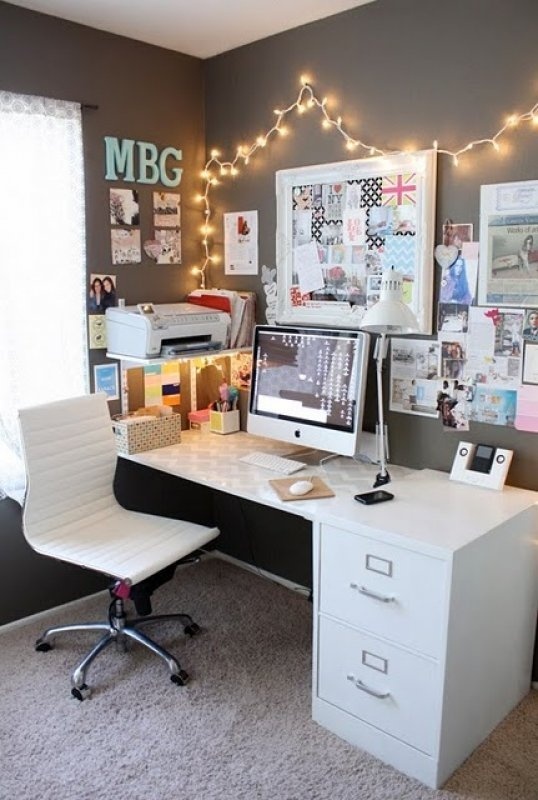 If you've ever decorated a room, be it a bedroom, office, living room, etc., how did you go about finding inspiration? 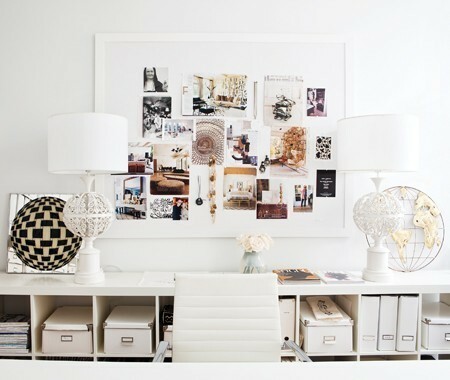 How did you decide what you liked and what you would implement into your space?